Another mad week, the weekend arrives and I long for a lie-in or to do nothing, and even when we do nothing we do something. It’s fun being busy, and makes the days fly by. 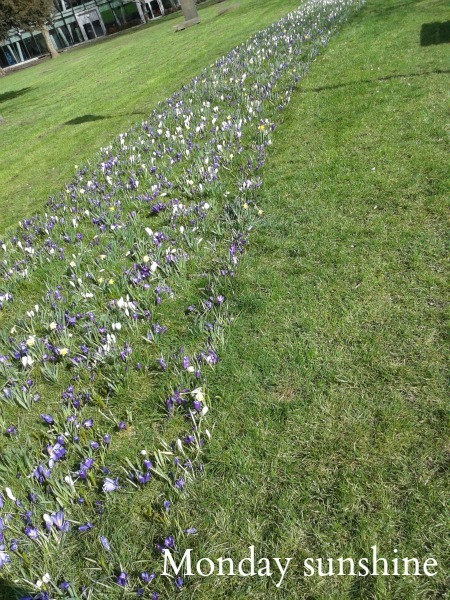 Monday, back to work and at lunch the daffodils and blue flowers (not sure what they are, and it’s too early for bluebells) were out in the green area I walk through to get to the shops. The green area is kind of odd, an old burial ground where only relatives of those already dead can be buried. It’s also a short cut. 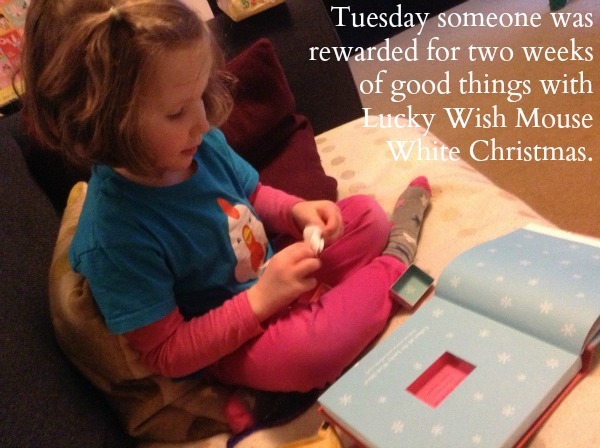 Tuesday, H was rewarded for doing two weeks of asking adults things she needed to, with the last Lucky Wish Mouse book she didn’t own. Wednesday, an exhausting one for the shortest. 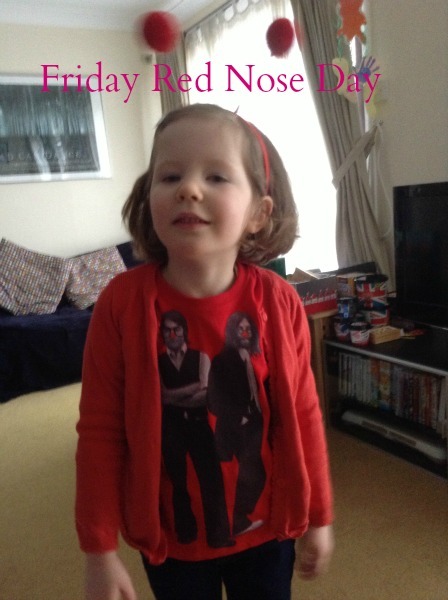 Friday, a red nose day. I’ve given my money, done my bit. 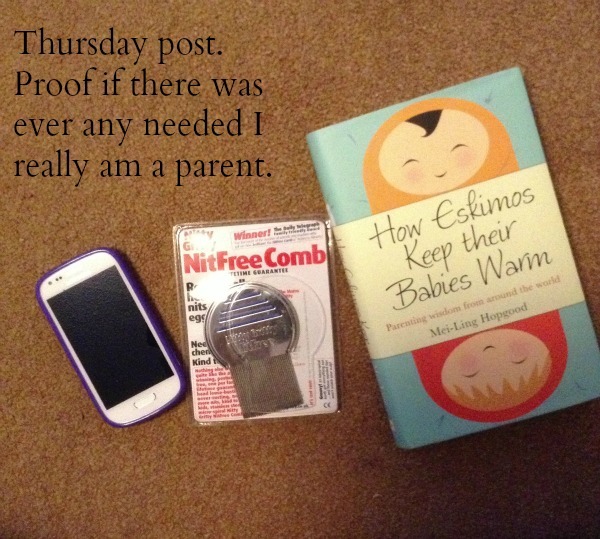 Dressed my child and now onto the next thing to donate to. 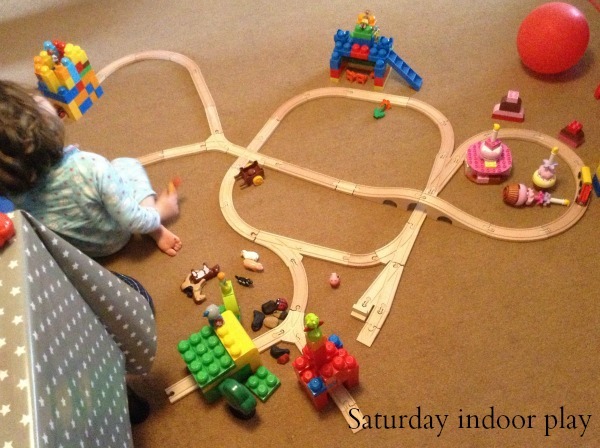 Saturday, a rainy day which meant lots of indoor play with Megabloks, railway tracks and Playmobil toys. We were fine with that although did get out for some puddle splashing. That Turkish Tent is amazing, so gorgeous. 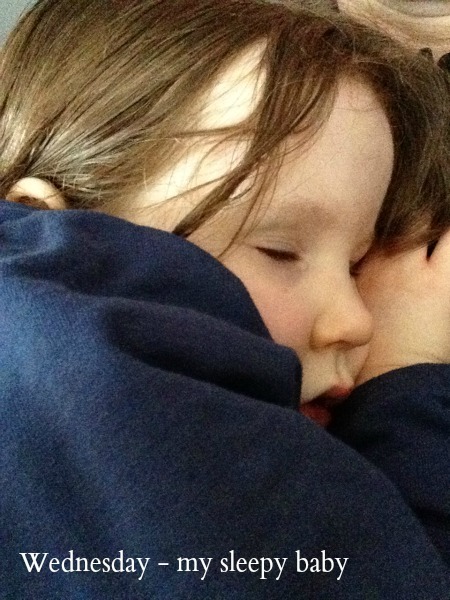 TheBoyandMe recently posted…Our Easter Holiday Destination! Love the track building, I’ve lost count of how many we’ve built here! 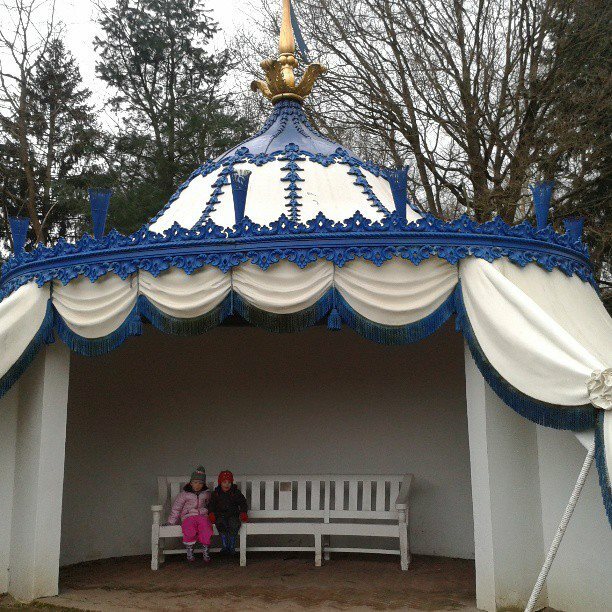 Love the old fashioned pavilion. Reminds me of on they had at my nanna’s park years ago. My grandad used to play the trombone there!